Having the best protein powder is one of the things that health conscious people and gym goers take after a great workout. But due to the many protein powders shakes today, people are having a hard the best protein powder in the market. Fortunately, I have gathered everything that you need to know, from choosing the best one to the best protein powder shakes available on the market today. For people who don’t know, 80% of the muscle mass is made out of protein. It is the one responsible for the muscle’s action and structure. This is the reason why athletes and people who are health conscious are relying on foods that are high in protein and protein powders. The reason behind this is because it helps enhance their performance, strength and as well as the size of their muscles. Sports nutritionists today all agree that individuals and as well as athletes who are training hard in the gym should make sure that they include protein in their diets. For instance, if you are an athlete who weighs 190 pounds, then eating 3,000 calories per day is your target, you need to include 190 grams of protein every single day at least. Hydrolyzed or hydrolysates is the presence of the proteins that are partially digested, including peptides and polypeptides. Some people may find the term partially digested undesirable, but it is one of the most beneficial protein. The reason behind this is because it provides amino acid building blocks and provides added action in the body. Protein isolates are a type of protein wherein the non-protein parts are removed. There is over 90% of the protein in this, which is a good thing. For example, a whey protein isolate has 86% protein and 90% dry weight. Protein concentrates can be the yield in different types of compositions, and this is based on the removal degree of non-protein parts. For instance, protein concentrates have 70 to 80% protein; the remaining percentage consists of fats, moisture, minerals, and carbohydrates. The most popular type of protein supplement is whey protein because it promotes fat loss and muscle growth. It is also known to be absorbed and digester faster than the other kinds of proteins, which makes it an excellent choice to be consumed before or after working out. Whey protein is 20% cow milk’s protein and is known to have the highest BCAA or branched-chain amino acid content. There are also 9% combined valine and isoleucine and 11% leucine. Casein protein can be found in the milk and is known to be one that can be digested slowly. In fact, it can take more or less six hours to be absorbed and digested fully which is why this type of protein is good for the delivery of the amino acid to the muscle. It may have less effect on muscle building, but it can help reduce the breakdown of muscle protein. If you are a vegetarian then using pea protein would be best. This is also a great option for people who have allergies to eggs and dairy. It boasts almost 98% of digestion rate, which means that the body can process and use the majority of the amino acids for every serving. Another great type of protein is the one that can be found in milk since it is packed with all the necessary amino acids. These amino acids can help in the growth of the muscles. Milk protein is common in creamy protein ready to drink, protein bars, and protein powder blends. Jay Robb Grass Feb Whey Protein Isolate Powder has 25 grams of protein in every serving. It is made out of milk, but the good news is that the lactose has been fully removed to ensure that allergic reactions will be reduced. The milk is produced from cows that are grass fed, which just means that it is free of any hormones of animal growth. 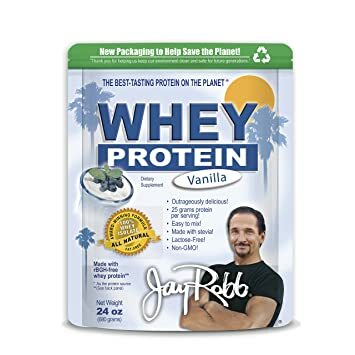 Another good thing about Jay Robb’s protein powder is that they have added some sweetness with the use of Stevia. This just means that this powder is free from any sweeteners that are artificial and as well as colorings and flavorings. There are also no casein protein nor MSG, and it is gluten free, which makes this protein powder perfect for vegans. Naked Whey 100% Grass Fed Whey Protein Powder has 25 grams of protein, 100 calories, 5.9 grams of BCAAs, 3 grams of carbs, and 2 grams of sugar for every serving. It is cold processed to ensure that contamination is reduced. It is also an unflavored whey protein powder, which means that you can easily mix this with your other food, including pancakes. Naked Whey is made out of 100% grass fed to ensure a high concentration of protein. Naked Whey’s milk is derived from a small farm in California, and there are no known artificial colorings, flavorings, and sweeteners. The milk is free from any chemicals and growth hormones, which means that the powder is natural. The manufacturing of this whey protein does not include bleaching or acid, to ensure a less treated type of protein powder. Lastly, since this has no flavor, you can get to enjoy the creamy taste that it has. Sascha is made out of 100% Hydrolyzed and Isolate grass-fed protein, which means that this can be absorbed by your muscles fast. 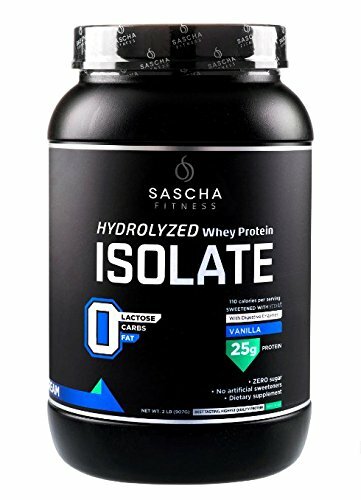 If you are looking for a whey protein that can help you with improving your body’s composition, then Sascha is the one for you. It provides 25 grams of protein for each serving and is ideal for both building muscle and protein synthesis. Another good thing about Sascha is that it is high in EAAS and BCAAs, which helps your hormonal environment, increase muscle mass, and helps protect your body’s muscles. The digestive enzymes in this whey protein can help prevent bloating and gas while improving your digestion. If you are trying to lose weight while gaining muscle, then this is your best option since it is low in sodium, and zero in fat, sugar, and carbs. Optimum Nutrition Platinum Hydrowhey Protein Powder is known as a protein powder supplement that is based on hydrolyzed. As you all know, hydrolysate and isolate are the two best source of protein. It can provide you 30 grams of ultra-pure protein for every serving. It also has nearly 9 grams of added leucine, valine, isoleucine, and Naturally Occurring for every scoop. What’s right about this whey protein is that it is instantiated to ensure that you can quickly mix it with a spoon. 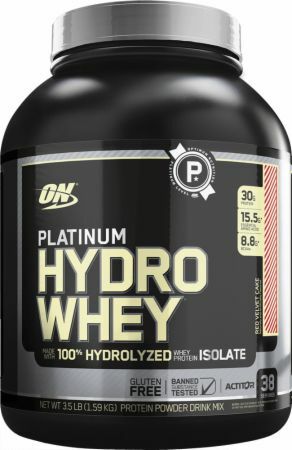 For people who don’t know, Optimum Nutrition’s Platinum Hydrowhey is known to be the most advanced type of protein that the company has developed. Since this whey protein is hydrolyzed, it breaks down the larger proteins into smaller ones to ensure that it can rapidly go into the body’s system. Take Hydrowhey first thing in the morning, before working out and as well as after. 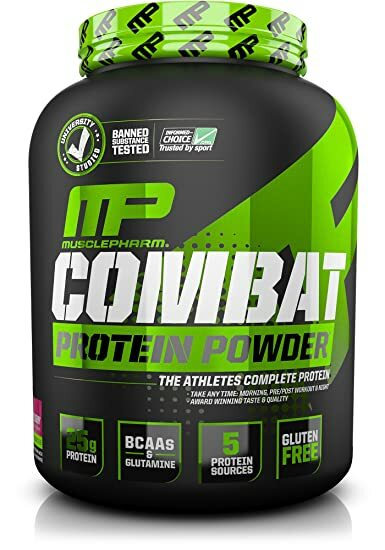 MusclePharm Combat Powder Advanced Time Release Protein can provide you 25 grams of protein for every serving, to ensure that all your protein needs for recovery will be provided. It is known to be digested slowly and time released. You can take it anytime you please, every morning, night, and as well as pre/post workout. What’s right about this whey protein is that this is gluten free. MusclePharm can help you gain muscle due to the high amount of amino acids in it. It also contains BCAAs which is good for growth and as well as muscle recovery. One of the most important ingredients in MusclePharm is the BCAA which is good in growing and recovering the muscles. These are the top 5 reviews on the best protein powder that can help you in building your muscles. But for this review, the winner would be Jay Robb Grass Feb Whey Protein Isolate Powder. The reason behind this is because it will not only help you gain muscles but will also contribute to support your metabolism. It is also available in different flavors, including strawberry, chocolate, and vanilla. Consuming the best protein powder may be beneficial for your muscles, but don’t forget to eat real foods as well as they will provide you with the other nutrients that your body needs for it to be able to function well.